Guarantee your copy of the UK’s best papercraft kit titles with a Craft Kit Essentials subscription. 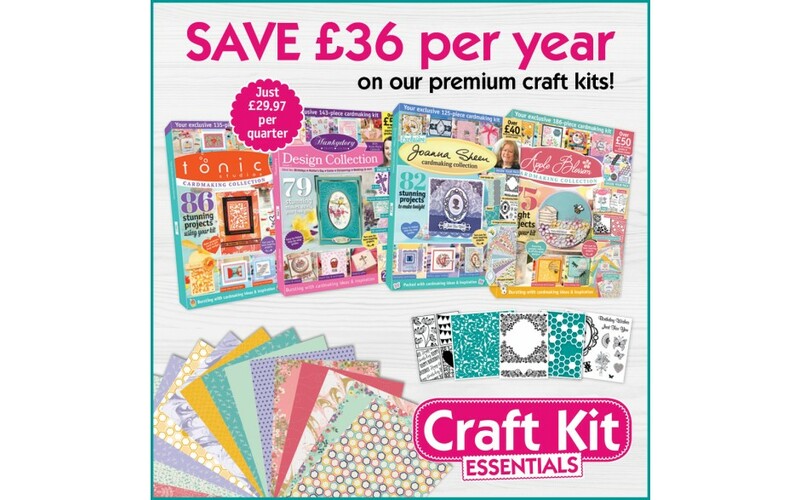 Each month you will receive an all-in-one premium kit worth over £45 containing a die, an embossing folder, stamps, papers and toppers, a 68-page magazine and more. Each kit will be bursting with inspiration. You’ll discover fabulous makes and ideas to create stunning cards for all occasions plus beautiful off-the-page projects to take your papercrafting to new heights. Featuring your favourite brands, from Tonic Studios to Hunkydory and Joanna Sheen to Stamps By Chloe, your subscription will help you to create amazing cards. You will receive over £540 worth of crafting goodies per year and save a huge amount on building your stash whilst discovering new techniques and skills. 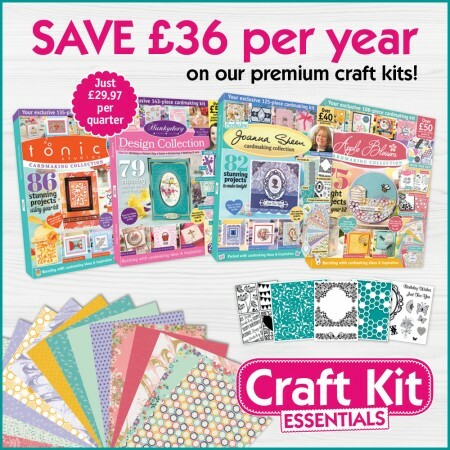 Each kit contains a 68-page magazine bursting with inspiration and an EXCLUSIVE papercrafting kit worth over £45! *UK offer only. Your subscription will start with the next available craft kit. Contents and theme of kit will change issue to issue. Not sure if Craft Kit Essentials is for you? We’ll refund you for any unmailed issues should you wish to cancel at any time. Offer ends 31/12/18. Pay just £29.97 per quarter by Direct Debit or £119.88 for 12 issues!